enjoy with seared salmon or smoked duck. EARLY colonists soon discovered that an area to the south of Sydney Town and now known as the Southern Highlands, had a climate that was perfect for farming and grazing – and for also escaping Sydney's humid summer heat. And while some wine grapes were grown there as early as the 1820s by those pioneering colonists, it was not until the late 1900s that serious thought was given to winemaking; today cool climate vineyards are scattered throughout the region, thriving in the region's warm summer days and colder nights. Diamond Creek Estate, 680-metres up on the northern slopes of Mittagong, is one of the region's success stories, producing premium Cabernet Sauvignon, Pinot Noir, Sauvignon Blanc, Chardonnay, Riesling and a Botrytised desert wine from 6ha of sunny, north-facing vineyards planted in 1997.
great with fish or other seafoods. ONE FOR LUNCH: WOOLWORTHS Liquor, BWS and Dan Murphy's have a new range of budget-priced wines they call CleanSkins Selection, created they say to "over-deliver in quality at the best-possible price." 'DW31' 2009 Barossa Valley Shiraz if you are more into reds, and it too is priced at just $9.99. Tonight the group of winemakers who call themselves "winemakers without borders" will be introduced at Magazine Gallery, Clubhouse Lane off Hindley St, Adelaide. The group, who came together in a most organic and democratic way, mostly via social media, share a philosophy that winemaker David Bowley of Vinteloper describes as "essentially being about mixing things up and doing things differently with wine." Oliver's Taranga winemaker Corrina Wright says winemakers without borders is "about bringing wine to the people." "From Adelaide Central Market to the Sydney Opera House - this crew is all about taking wine to new and interesting spaces." Winemakers without Borders events so far include Shin & Shiraz; The #HEARTYPARTY; and Pinot & Polenta, with Oysters in the House and the V and S Ball planned in October for many members of the winemakers without borders crew. Yalumba winemaker Louisa Rose says: "it's a holistic philosophy - no borders means that you can experiment with new everything - from grape varieties, regions and winemaking styles, to wine occasions, food matches and the people and places that ultimately share the experience." we all need no borders! i'll be there! @maxhalliday max halliday @winenoborders@vinteloper@yalumba hey Goodluck fellas, surely without borders holding you back you're A shoe in! The blog www.winemakerswithoutborders.wordpress.com is still in build mode for launch tonight but will be live later today with the full list of winemakers without borders along with some very non wine related information about them, naturally. In the meantime - here they are - the inaugural winemakers without borders crew. Please come with your twitter handle and smart phones at the ready! Global superstar chefs, foodies and families will converge across Sydney and around the state during October's Crave Sydney International Food Festival, presented by Citibank. This year's exciting program, launched this weekend in The Sydney Morning Herald and on www.cravesydney.com again proves Sydney is the place to be in October for food lovers, with brilliant new events such as Breakfast on Bondi and Kids' Crazy Island Tea Party on Goat Island joining favourites such as the Night Noodle Markets, Barbecue Madness, Let's Do Lunch and the fabulous World Chef Showcase (October 1 and 2). "We have a fantastic South American theme this year and I am excited not only about the incredible international chefs coming to Sydney – including those behind six of the S. Pellegrino World's Best Restaurants – but also the opportunities we will have to celebrate Sydney's fantastic food culture, through special dinners, lunches and other one-off food experiences in our own backyard," said Festival Director Joanna Savill. "With literally hundreds and hundreds of events, there is so much to see and do and taste. We're also thrilled to see a real growth in regional events, especially the 100 Mile Meal events, as well as a stack of new community festivals across Greater Sydney." · Breakfast on Bondi (October 23) – join breakfast king Bill Granger and surf lifesaver/MasterChef star Hayden Quinn for the perfect start to the day, on the beach! 100 Mile Meals (October): Think global, eat local! Enjoy a huge long table lunch at a number of 100 Mile Meal events taking place across regional NSW, celebrating the best local produce. All ingredients for these lunches, dinners, picnics and more come from just down the road or a nearby paddock – with brilliant local wines. NSW Minister for Major Events George Souris said Breakfast on Bondi and the Kids' Crazy Island Tea Party are an exciting new addition to the 2011 Crave Sydney International Food Festival program. "Visitors and Sydneysiders will be able to enjoy a sunrise breakfast on Bondi Beach on October 23 and experience a tea party on Goat Island over three weekends. "What is special about the Crave Sydney International Food Festival is that it uses many of our wonderful and unique Sydney icons but also allows for discovering Greater Sydney and Regional NSW," he said. NSW Deputy Premier Andrew Stoner said Crave Sydney International Food Festival celebrates Sydney and regional NSW as a global dining destination based on world class local wine and produce. "Our farmers, growers and winemakers produce some of the best food in Australia. "Crave Sydney International Food Festival is an opportunity to showcase this culinary produce on a global stage with some of the best chefs in the world experiencing, tasting and cooking with NSW produce during the festival," he said. Crave Sydney International Food Festival (October 1-31) is a month-long celebration of extraordinary food experiences and one of five signature events in the NSW Events Calendar. The full Crave Sydney International Food Festival program, is published on August 27 in The Sydney Morning Herald and is available on the website www.cravesydney.com. Tickets for the must-do World Chef Showcase are on sale now via Ticketmaster. WHAT: Giggle and gulp with women winemakers and discover you don't need a wang to make good wine. 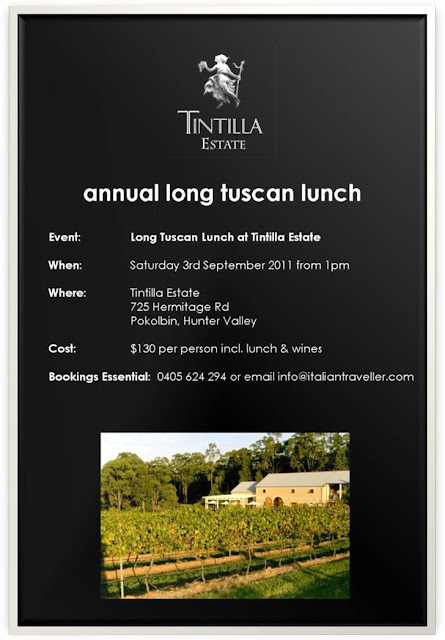 $70 per person includes tasting plate and wine. Sydney lady lovers of wine and a good time, you are invited to giggle and gulp with female "MW's" (Mistresses of Wine) —Louise Hemsley-Smith, Corrina Wright, Samantha Connew, Louise Radman and Kate Parry and become familiar with some of this season's hottest labels—Tower Estate, Oliver's Taranga, Spring Seed, and Battle of Bosworth. "Cosmos are passé, vino's the new way!" said winemaker Corrina Wright of Oliver's Taranga. Send those misters big or small away with their cocktails between their legs, as this one's not for the lads. The all-girl gathering will soak up how four mistresses of wine tame their grapes, and guests will become well heeled in their various styles and support the Variety Club at the same time. The idea for this event came when a bunch of ladies more accustomed to Valentino than vermentino were together drinking wine but lamenting the fact they didn't feel quite right talking about it. "We thought, what better way than to get a bunch of leading wine women together, taste, talk and enjoy?" said Louise Radman of Radpublic..
"There will be a wine options game like no other, prizes and all for a good cause in Variety" said Kate Parry, who prefers her wine with curves. "Frock up and make a night of it." Fix St James owner, Stuart Knox said he was sure once word got out about the ladies only event that Elizabeth St would be teeming with men. "I'm looking forward to welcoming women in droves!" "We know that women outside the industry are anxious to learn a bit more about wine, but can feel a bit out of their depth with all the wine language," says Louise Hemsley-Smith of Battle of Bosworth and Spring Seed Wines. "With Sips and the City," explains Samantha Connew, "we're providing a comfortable avenue for women to have their wine questions answered by women, and take in a bit of knowledge and fine wine at the same time." March those Manolo's in to drink Montepulciano, sachet Ferragamo to splash Fiano and replace Valentino with Vermentino at Sips in the City. 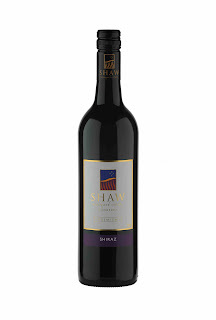 Shaw Vineyard Estate, a boutique winery located in Murrumabteman in the Canberra District wine region is one such winery that has started adding the QR (quick response) codes to their labels. "The use of QR codes in the winery actually started when we began exploring new ways to attract people to our winery and wines through different online marketing channels. The conversation about websites and new technology inevitably headed in the direction that many marketers are heading these days – smart phone apps," said Tanya Olinder, Director and Cellar Door manager at Shaw Vineyard Estate. QR codes are better known as those 'website friendly bar codes' that are tailor made for helping people navigate to information via their internet enabled smart phones. First launched onto the scene in Japan in 1994 by a subsidiary of Japanese car manufacturer, Toyota, they were originally designed to track vehicle parts in car manufacture. The codes have been going through somewhat of a renaissance of late with the fast growth in software and devices that allow for the creation and use of QR codes, most notably Iphones and Google powered Android phones. "From 2011 onwards all new domestic and export wine releases will contain the QR codes within the label design. The codes will take the viewer to a page on our website which has the most up to date information on the release including tasting notes, food matching ideas, and the latest awards the wine has won. "Adding another layer to the in store wine selection process definitely adds an attractive element for wineries that have been fighting the 'label and shelf wars' for years in Australia. For consumers this new marketing tool will provide those with a smart phone a more accurate and timely way to research and explore new wines prior to purchase and a few handy tips about the wine to share at the table once they get the wine home," Tanya continued. 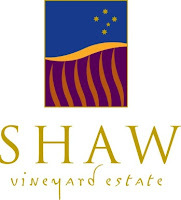 Shaw Vineyard Estate hopes that these little codes will help them connect customers more closely with their brand and wine stories well into the future. Tanya acknowledges that she isn't the first in the Canberra District to implement QR codes, but is definitely in a small group of early adopters. "We looked around the region and found some of the other wineries were doing it also so we know there has to be something in it," Tanya said. "The codes on labels provide a fast link to a permanent page on our website with information on that specific wine. They therefore provide permanent after-sales support for our customers – once they purchase the wine they can immediately find out more detail on its provenance, tasting notes and so on. The links will remain active for many years to come so that even if you cellar a wine, you can always find relevant, updated content about it," said Chris Carpenter of Lark Hill. And it seems labels are only one use. Mount Majura Vineyard has several concepts under development including their brochure reprinted to include a code that will link to a dedicated page on their website with a video selling the cellar door experience. And in addition to labeling wines of the 2011 vintage with QR codes, Domaine Rogha Crois Wines' flagship Pinot Noir will have a label code linking to a YouTube video that explains the techniques used to make the wine as well as tasting notes and food matches. Tanya at Shaw explains some of the other uses. "We now have QR codes at the Cellar door for signing up to our email list and a separate one for liking us on Facebook. These are two important marketing tools that we use to keep our customers up to date, so making it easier for people to join these lists was an easy choice. It's definitely an innovation over the old clipboard and wine stained paper sign up list you see at most cellar doors," said Tanya. "In the world of wine, anything that makes local Canberra district wines more enjoyable for consumers to purchase and consumer is surely going to leave a nice taste in people's mouths," Tanya concluded. See the below media backgrounder for more detail on Shaw Vineyard Estate's experience implementing QR codes. The Canberra district continues to shine as one of Australia's premier wine growing regions and Murrumbateman's Shaw Vineyard Estate never fails to impress with its outstanding range of expertly crafted wines. The Shaw Vineyard Estate Shiraz 2009 (RRP $22) has this week been named on the Champions List at the New Zealand International Wine Show having been awarded a Gold Medal alongside a Silver and Bronze for its Cabernet Shiraz 2009 and Cabernet Sauvignon 2009 respectively. The 2009 Merlot also won Gold in Cairns this month, highlighting the greatness of the 2009 reds from this rapidly emerging region. Shaw Vineyard Estate is ideally located in Murrumbateman, just 25 minutes north of Canberra. The impressive 700 acre property is the largest privately owned vineyard holding in the Canberra wine region. The property, formerly known as 'Olleyville' historically produced some of Australia's finest wool. Nowadays, some 85 acres (32ha) are planted to vine on the property's most optimal vineyard sites. With a unique sloping profile and elevation at around 640 metres above sea level, the property is ideally situated for the production of outstanding cool climate wines particularly Riesling, Shiraz and Cabernet Sauvignon, which thrive on this elevated site with optimal drainage, and ideal aspect on this unique estate. The region has fast become known for producing some of the country's most outstanding and sought after red wines, and vigneron Graeme Shaw feels that the 2009's are set to be amongst some of his finest. A high quality vintage devoid of the hail and frost that effects so many growing seasons, so in great years like 2008 and 2009 the region produces some of Australia's best. A truly family owned and run operation, the Shaw family spare no detail. Their busy cellar door is home to many of the regions leading events, and most certainly Flint in the Vines is the place to dine in the region. The cellar door, vineyard, warehouse and business are all completely run by this hands on family who exude enthusiasm for what the region has to offer. prime rib and roast vegies. WORLD War II Air Force rear-gunner, later wheat farmer and wool-grower, Peter Robertson was all of these things before turning his hand to wine-grape growing and planting the very first vines in NSW's Hilltops Region. That was after a disastrous drought in 1969, and Peter cleverly planted his pioneering vines in contours where he noted his wheat crops had previously thrived; the result was instant success, Shiraz and Cabernet Sauvignon in particular flourishing as had his hillside wheat crops pre that 1969 drought. Today Peter Robertson's Barwang label is one of the most highly-respected in the Hilltops Region, an area where warm days with cooling evening breezes from the Great Dividing Range help Barwang's winemaker, Andrew Higgins create distinctive, full-flavoured yet elegant and subtle reds. The just-released 2009 Barwang Cabernet Sauvignon is one such wine: after drought again in 2007 and heatwaves in 2008, the 2009 vintage returned to textbook Hilltops with warm, gentle and even temperatures giving this 2009 Cabernet Sauvignon nice black currant and mulberry fruit characters, and well-structured tannins. 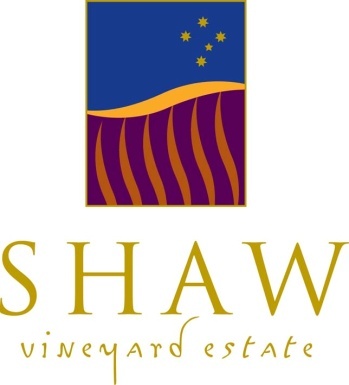 ONE FOR LUNCH: TWENTY-FIVE minutes north of Canberra on a one-time fine-wool growing property, the Shaw family's impressive Shaw Vineyard Estate is turning out some very more-ish reds and whites some 640-metres above sea-level. These cool-climate wines are impressing consumers and show-judges alike, with vigneron Graeme Shaw's 2009 Shiraz one of his finest-ever: loaded with rich black cherry flavours and nice varietal white pepper and spice, at $22 its a beauty to share with hearty Italian-style meat and tomato-sauce dishes. Lovers of food, wine, culture and nature can indulge in the Granite Belt this spring. The 2011 Primavera Festival program offers 90 days of cultural, nature-based and gastronomic experiences. Meet the winemakers, providores and artisans; and celebrate with more than 55 events, festivities, workshops and master classes from September to November. From seven course degustation dinners, to food and wine matching events with Spanish, Italian and modern Australian influences, produce sample markets and a beer fest, Primavera will be a gourmand's delight. Wineries will release their new vintages. Be the first to try an award winning Verdelho, Tempranillo, Pinot Gris or Chardonnay at more than 40 cellar doors. 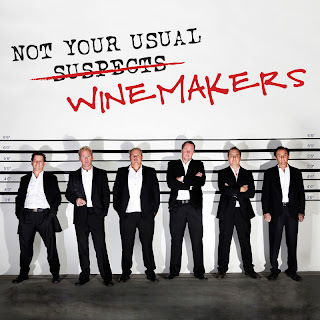 The Festival also features the Australian Small Winemakers Show 2011, the most prestigious wine show for small winemakers in Australia and New Zealand. Meet the makers, the judges, and join the industry for their night of nights on the 19 October with a ticket to the Presentation Dinner. On the 22 October, the public tasting will provide a rare opportunity to sample boutique award winning wines from across Australia and New Zealand under one roof. Sparkling garden parties and cup racing will offer the chance for fashionistas to dazzle. Primavera is a time for celebration and dancing with a myriad of music performances to suit every taste and preference including jazz, blues, big brass bands, classical pianists, rock n roll and country. Experience Shakespeare amongst vines and granite boulders or treat the children to a traditional pantomime in a quaint little theatre. Cultural enthusiasts should not miss Art on Amiens, a trail showcasing some of the finest contemporary art the Granite Belt has to offer at galleries, wineries and food artisans throughout Amiens. Participating artists include Laurie Astill, Pat and Tom Benkendorff, Maggie Brockie, Keith Cameron, Linda Clutterbuck, Margaret Dowe, Chris Fletcher, Sue Jurd, Sandra McEwan, Maryke Miller, Bent and Eva Rasmussen, Michael Pieper, and Fay Roselt. Get outdoors. In spring, the Granite Belt is a visual feast of apple blossoms, bursting grape vines and fields of wildflowers. Take a guided wildflower walk and discover more than 30 stunning varieties in bloom. IT'S not often that a winemaker can say that from a vintage that most described as "challenging and trying," they were delivered some of the best white fruit they've ever had to work with. But that's what Rymill Coonawarra's Sandrine Gimon had to say of fruit for the company's 2011 The Yearling Sauvignon Blanc. "We had above average rainfall in winter, colder soil temperatures contributed to slow bud burst, and then heavy rains came during November and December," Sandrine said. "But the vineyard crew worked through everything that Mother Nature threw at them." And through their care, the result was that excellent fruit that Sandrine describes as "sassy, luscious and multi-dimensional," and which has resulted in the 2011 The Yearling being richly Sauvignon Blanc varietal, with trademark Coonawarra vibrancy and lovely lemon and passionfruit flavours. Good value at $15 and a great appetiser wine to start a party with dips based on artichokes or sun-dried tomatoes, or to enjoy with most Thai dishes. ONE FOR LUNCH: LIKE many others in the 1950s and 60s, Eric Brand sold grapes from a block he owned in Coonawarra to the big Rouge Homme winery, and like those others was dubbed in the area a "Blocker." In 1966 Eric went a step further releasing a wine under his own Brand's Laira label, it and subsequent drops going on to become some of Coonawarra's finest and most respected. And today under the guidance of winemaker Peter Weinburg that tradition continues, with Brand's Laira just releasing a wonderful 2008 Blockers Cabernet Sauvignon from a vintage Peter says delivered fruit of exceptional quality. The wine is rich with intense blackberry/blackcurrant fruit flavours, fine tannins and varietal spice; pay $24.99 and enjoy with a rosemary-infused leg of lamb. Following the huge success of the New Generation Hunter Valley "Not Your Usual Caravan of Courage", the boys are ready to hit the road again for another installment of east coast adventures and unexpected events. Mike "Micky D" De Iuliis & Andrew "Margs" Margan have had enough R&R* since parking their caravan (which surprisingly enough only received a few minor dents and scratches between Melbourne and Noosa!) and in the month of October will be once again bringing the delights and delinquents of the Hunter Valley to you in two separate but equally exciting events! The New Generation boys will be popping up in a secret Sydney location on Friday 21st October. Hailed with the moniker "New Generation Hunter Valley Pop Up Wine Bar", this truly unique and spontaneous event will show Sydney-siders why the Hunter is hotting up and who is making some of the sexiest Semillon and Shiraz around. The New Generation Hunter Valley Pop Up Wine Bar is proud to be a part of The Sydney Morning Herald Crave Sydney International Food Festival, presented by Citibank, and tickets for this Pop Up Wine Bar are only $30 giving you a whole lot of heavenly Hunter wine and a chance to meet the characters behind the brands in the most unexpected of spots. 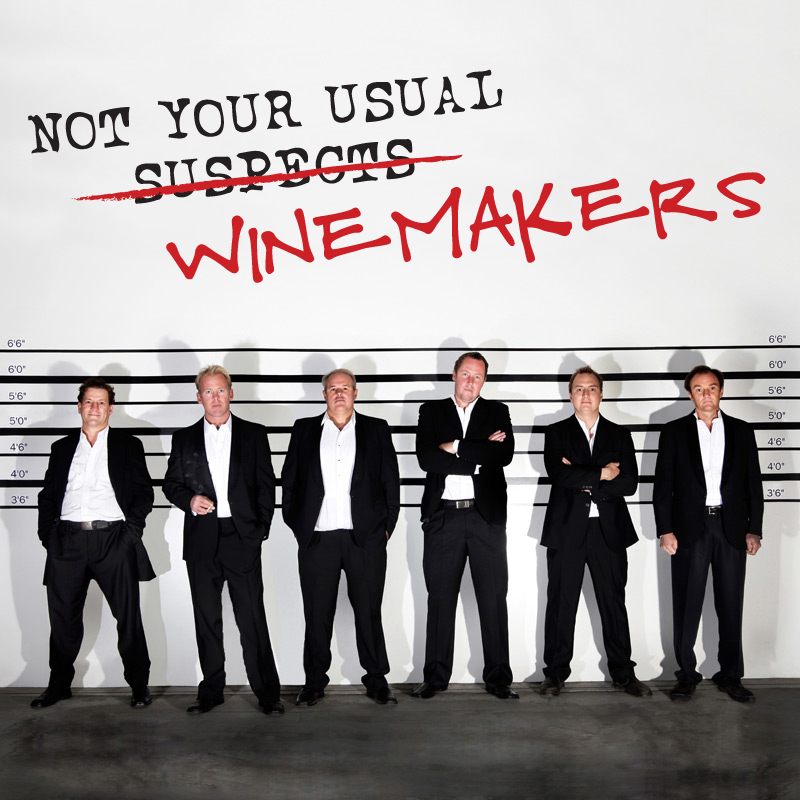 Register for tickets at www.newgenerationhuntervalley.com.au from Saturday 27th August. And that's not all! On Saturday 8th October the New Generation boys and Bells at Killcare will be teaming up for this year's Crave Sydney International Food Festival 100 Mile Meals. Bells at Killcare acclaimed chef Stefano Manfredi will create a sumptuous five course degustation menu where all produce used is sourced from within a 100 mile radius of the picturesque Bells at Killcare, and naturally the menu will be matched with New Generation Hunter Valley wines. 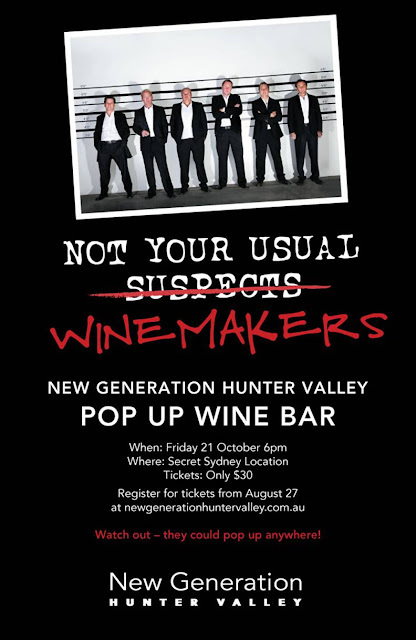 The New Generation boys will be there to share their stories and divulge their mission in making the Hunter Valley the happening place to explore once more. Visit www.bellsatkillcare.com.au/whats-on.html for bookings and further information. When November hits and you think the six suspects are safely back in the Hunter for good (who's going to make the wine after all?!) spare a thought for early next year as rumours have it that there may be a newer and even shinier caravan hiding in the depths of the vines being polished and prepared to rev it's engines on the roads of the east Australian coast once more….watch this space – the New Generation Hunter Valley winemakers could just pop up anywhere! *R&R is not an Australian rum based beverage! The world is a light at the moment with tastings and talk of diverse and delicious Spirits, after the release of the Spirits Results from the 2011 International Wine and Spirits Competition (IWSC). And what better time for Australians to think about these heart-warming elixirs than during the winter months? In particular Rum ~ the Spirit that gave early Australians spirit and helped build the nation back in the age of the 1813 Rum Rebellion. Recent Nielsen UK figures quoted at this years IWSC*, show that a new rum rebellion might very well be on the way, with retail sales of certain rum categories up an impressive 39%. Not that a love of rum ever went away for Master Distiller and owner of Holey Dollar Rum (a 100% Australian Family Owned Rum Company) Stuart Gilbert. Stuart has been making hugely popular rums for over 12 years now and has been credited with raising the profile of Australian rum production worldwide. He previously won the coveted "Worldwide Distiller of the Year" title at the IWSC, something never before achieved by an Australian or Australian company. Stuart comments, "Australia has an amazing rum heritage. When it was first colonised there was a shortage of coins and currency, so rum became the popular currency of the day. 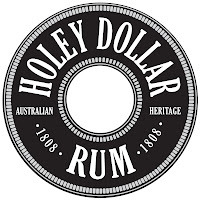 It was later replaced by the Holey Dollar coin – hence the name of our rums - during the infamous 'Rum Rebellion'. I wanted to reflect the spirit – pardon the pun – of the original Aussie settlers in my rums. They are serious and individual (hand-crafted, made in pot-stills with extra ageing in oak barrels) with complexity, flavour and diversity. But they are still affordable luxuries, accessible to the everyday person, so everyone can discover the satisfaction of this wonderful drink and the Australian history behind it. There is a general underlying trend that Australians are now seeking to trade up from the run-of-the-mill rum brands, to more premium rum, just as they have done with Whiskey and Bourbon in the past. I believe Holey Dollar ticks all the right boxes, with high quality, a great price, and a uniquely Australian story. And it is obviously also great that as well as growing support at home, we have been recognised so highly internationally at shows such as the Ultimate Spirits Challenge, the Rum Masters Series and of course the IWSC." Holey Dollar Rum received another set of great results at this year's IWSC, taking home three Silver Medals and two 'Best in Class', on top of the 5 gold medals and trophies collected in previous years, proving consistency of the quality of these exceptional pot still rums. Collecting these awards is no mean feat, beating off competition from some of the worlds most sought after, extra-aged (some up to 21 years) Caribbean rums! Light tropical fruit notes on the nose with some floral hints and decided vanilla follow up. Big, full mouth with prune and treacle flavours and even more vanilla. Slight impression of sweetness with some fruit cake and toast. Touch of chocolate in long, aromatic finish. Rich and full on the nose and in the mouth with spice, exotic fruit, raisin and lots of oak. Clean in all respects. Lots of treacle with some bitter caramel giving some unexpected bite. Big and full bodied with woody, spicy finish. Wonderful dark amber colour with aromas of raisins and chocolate, toasty almonds and a hint of dried banana…layer and layer of progressively drier and woodier oak flavours finishing long and warm on the palate…a fabulous drink. 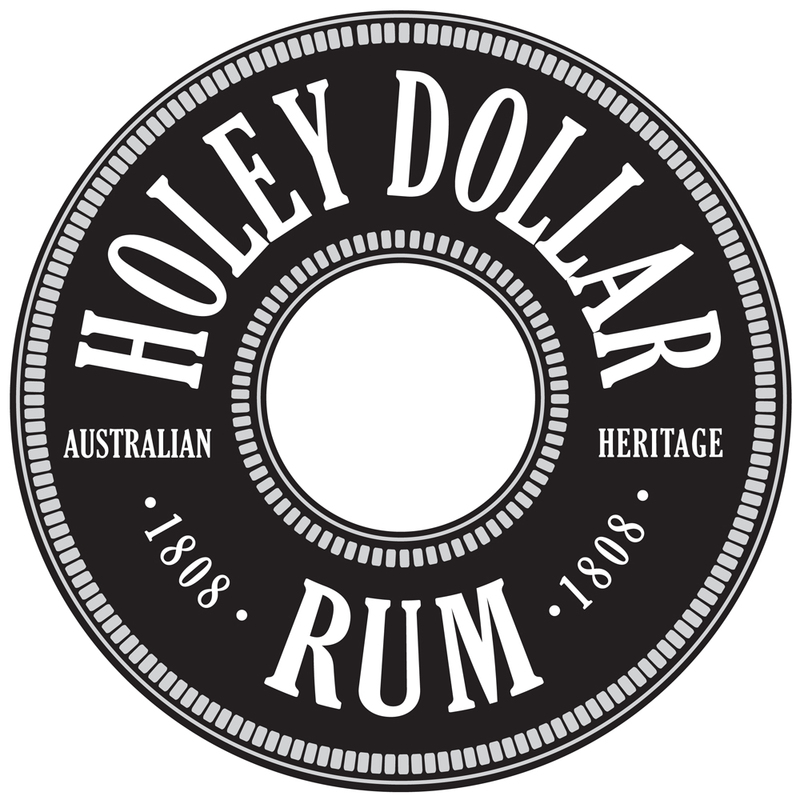 Holey Dollar Rum is available throughout Australia at 1st CHOICE LIQUOR stores and selected independent liquor retailers. See www.holeydollarrum.com.au for more details. – you'll certainly not be disappointed. WHILE wine has been flowing in the Clare Valley since 1851, just two years after the first settlers arrived there from Ireland in 1849, production from the region is still just 1.5% of Australia's total wine output. But what wines some of these are, particularly the Valley's Rieslings and Shiraz, with one of the latter, Jim Barry Wines' The Armagh up there amongst our true legends. Those first settlers bestowed the name 'Armagh' on the rolling hills after their homeland, and the late Jim Barry adopted it for a Shiraz he created in 1985, and which quickly earned itself high respect as a Clare and Australian classic. His successors maintain the tradition, lead by Jim's second son Peter, and in 2007 crafted an Armagh from fruit from the driest growing season in the Clare in 24-years. Its only just been released now and is a true powerhouse for immediate enjoyment or for investment for the future, with wonderful red currant, black cherry and blueberry flavours, and aromas reflecting these as well as suggestions of spearmint, rosemary, cedar and black pepper. pork loin chops and mushroom sauce. It carries a $250 price tag for that special celebration; crack a bottle and you'll certainly not be disappointed. ONE FOR LUNCH: THE Wairu Valley is an interesting sub-region of New Zealand's famed Marlborough wine-growing belt, being an ancient river bed that lays between two mountain ranges and is fronted by Cook Strait. One local company, Giesen has created an exceptional Pinot Noir from this sub-region, with their latest release, the 2009 The Brothers Pinot Noir a quite intensely flavoured, fruit-driven wine with lots of plum and ripe cherry flavours, fine tannins and a lingering dry finish; at $39.99 team it with grilled pork loin chops and a mushroom sauce. beef stews or lamb casseroles. WINTRY weather calls for hearty beef stews of casseroled lamb chops, and just right to enjoy with either is a good Merlot. One particularly nicely-flavoured and well-priced drop for just such pleasures is Margan Family Winegrowers' 2009 Merlot from their red volcanic soil vineyard at Broke Fordwich, in the Lower Hunter Valley. Merlot vines in this vineyard grow on their own roots, rather than having been grafted onto a root-stock, producing small berries with soft tannins and concentrated ripe-fruit flavours – plums and mulberries coming foremost to mind on tasting, and also delicate spice and suggestions of vanillin oak. Pay $20 and enjoy now with one of those great winter-time stews or casseroles, or if you prefer, partner it with chicken and grilled Mediterranean vegetables such as zucchinis, eggplants and peppers. While this is a wine that maker Andrew Margan has created to enjoy young, put it put it in the cellar for a few years to develop typical Hunter complexities. and boiled or steamed Kipflers. ONE FOR LUNCH: NEW Zealand's Toi Toi Wines produces some exciting and nicely-priced wines from its quite unusual vineyards in the Marlborough Region's Omaka Valley, a place with a unique micro-climate created by the valley being open to full-sun from the north, but enclosed by mountains on all other sides, and where days are warm and the nights cool. Toi Toi's 2010 Brookdale Reserve Pinot Gris is the product of intensely-flavoured fruit from this micro-climate, with upfront classic Pinot Gris spice and pear flavours, and good acidity. At $17.99 it's a good match with poached salmon and boiled or steamed Kipfler potatoes.